With the ever expansion of EDM globally, it’s difficult to find many countries that can flaunt a loving admiration for the genre as much as Argentina – which is exactly where DJ Markus Schulz as taken his famed city compilation series. 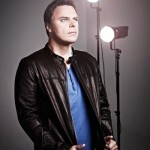 ‘Bueno Aires ’13’ follows on from the acclaimed ‘Prague ’11’ and ‘Los Angeles ’12.’ Markus Schulz has specifically chosen to entertain the masses during the country’s Bicentennial celebrations, and as a result, cites the relationship between himself and the local patrons as key ingredients when in studio production mode. Suffice to say, 2013 has already been packed with Buenos Aires gigs and highlights for the Miami based Markus Schulz. Despite lashing weather, Argentinean fans remained strong in support of him when the city hosted its own edition of the Ultra Music Festival earlier this year. As with every city compilation experience, Markus Schulz has pooled essential resources from fellow members from his Coldharbour family – including South American talents KhoMha and Danilo Ercole. Significant contributors also include Rex Mundi, Grube & Hovsepian, M.I.K.E., Digital X, Fisherman & Hawkins, Basil O’Glue and Protoculture among many more. 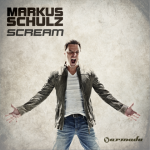 Markus Schulz factors prominently across both discs with new singles and remixes including a fresh take on the iconic Solarcoaster by Solarstone; a new collaboration with the incredibly capable Rex Mundi; and another foray into his deeper and darker Dakota alter-ego with the track Barracas. 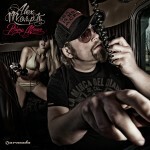 His tradition of anointing a new alias continues through Buenos Aires, with Marscela responsible for the first and last moments of the journey. One of the standout highlights of the compilation is ‘Remember This’ – which will intrinsically link the Buenos Aires compilation with Schulz’s next artist album Scream 2. The choice of the Argentinean capital was primarily due to memories of the long nights and mornings shared with the patrons, and with Buenos Aires ’13, the worldwide SchulzArmy members will have many reasons to attach memories of their own towards this musical experience for years to come. 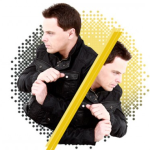 Markus Schulz’ Buenos Aires is out now on iTunes, go here.